Pierre Favre has been performing as a solo percussionist since the beginning of the Seventies. Since then, critics have been in accord about the exceptional quality of these solos. In describing Favre’s art as a soloist, one cannot speak of a demonstrative virtuosity with which the greats of percussion demonstrate their styles and techniques of accompaniment. On the contrary, with Favre one finds from the beginning a personal musical vision – to be understood in the same sense as a sonata is a meant for piano. 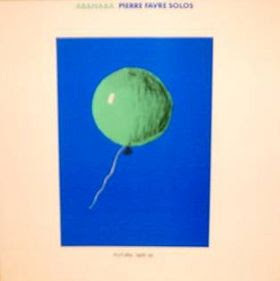 For the first time in 1984, Pierre Favre composed for a percussionist ensemble which included Paul Motian, Fredy Studer, Nana Vasconcelos and himself (“Singing Drums“, ECM 1274). With “Singing Drums“, Favre endowed his vision with its first actual orchestral form. “Les Tambours du Temps“ take this development a step further. Although two of the four instruments in this new ensemble are horns, the group’s concept is essentially rhythmical. The 1984 quartet has condensed as i were to become the duo Pierre Favre-Lucas Niggli. Niggli differs from the percussionists of the Sixties generation through a personal expression which is energetic and flexible and requires no fashionable muscular performances. The percussionist duo creates the framework in which the saxophonist and clarinettist Roberto Ottaviano and the tubist Michel Godard operate. A unique uplifting power of song can be ascribed to the former, which casts a special light onto the underlying rhythmic landscape. The latter unites power and melodic finesse in his tuba, form which he easily brings forth the tonalities of large drums or those of the highest soprano scale. The intervention of both horn players punctuate, illuminate and comment on the percussionist discourse. Simplified and summarized: “Les Tambours du Temps“ exchange roles – often it is the horns which accompany the percussionists. Swiss – born drummer and percussionist Pierre Favre started working at the age of seventeen as a professional musician. He became a member of various European big bands, played with American and European jazz greats and led drum workshop throughout Europe, United States and Japan. His interest in complex drum rhythms and unusual sounds led him from Free Jazz ( Martial Solal, Don Cherry, John Tchicai, Albert Mangelsdorff, Michel Portal ) to World Music (Nana Vasconcelos, T.V. Gopalkrishnan). Inventiveness is one of the most distinctive features of his approach. This is his solo LP from 1972 in the FUTURA label .Avantgardish jazz experimentations all through.Note that this is percussions and drums solo improvisations! Thanks! Your share increase my music wides. Thanks for this! It's a great, hard to find recording.